適用對象 | For whom is this method targeted? 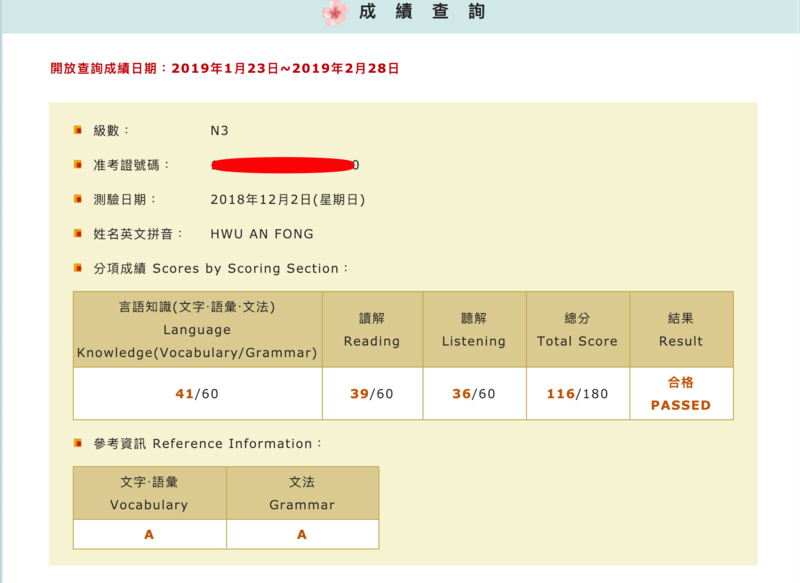 短時間在學校課業壓力下聽力從無底子到36分 | Prepare for the listening test (from none to 36 / 60) in the extremely busy week with schoolwork. 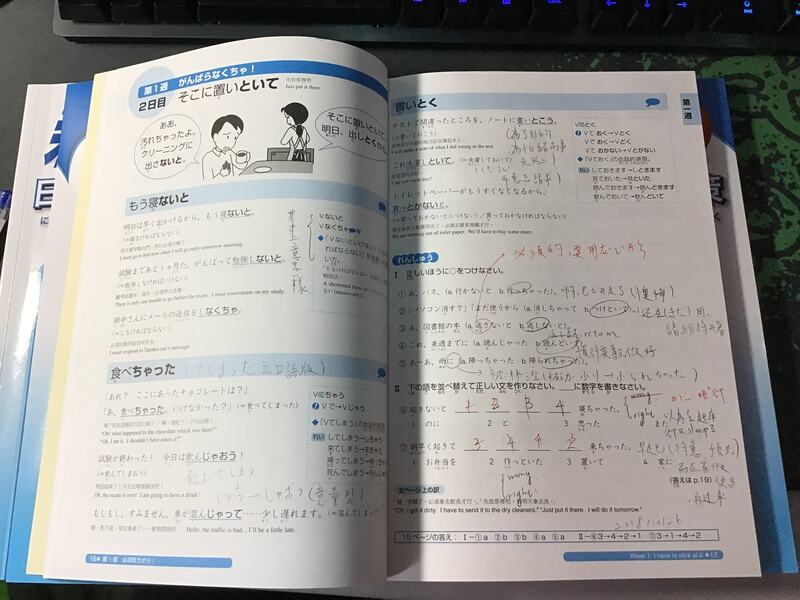 祝福大家日文檢定順利達陣 | Wish everyone a successful JLPT fight! 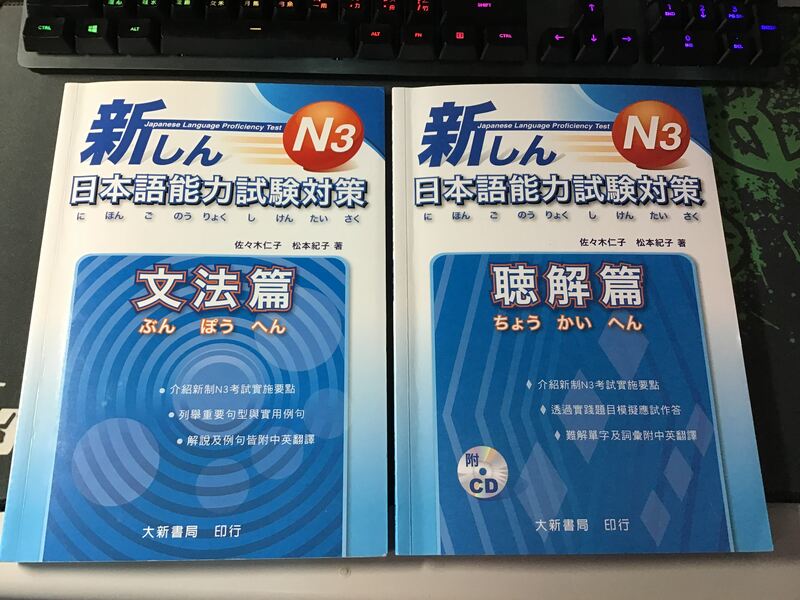 至少有修完交通大學日文五、或同等程度(約N4高一點) At least finished level-5 Japanese course in NCTU, or equivalent proficeiency in Japanese (slightly better than N4). 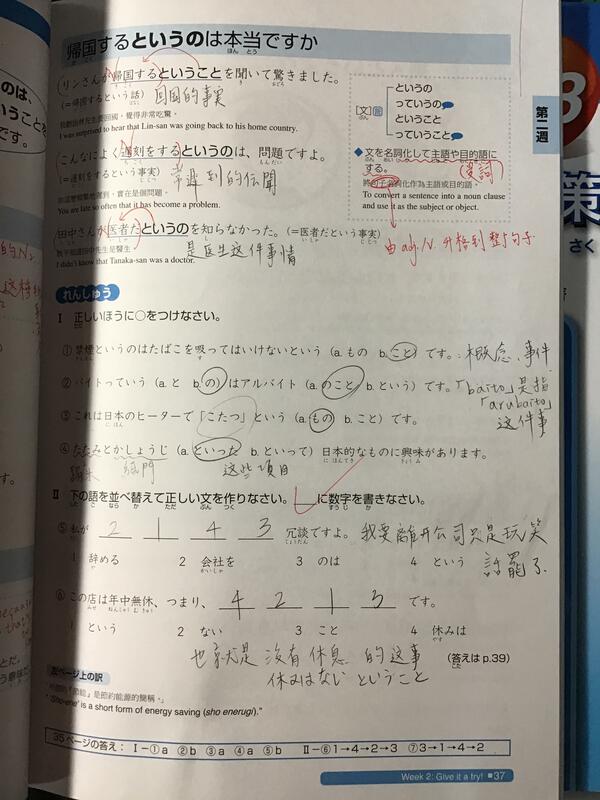 在考前一周有五天的時間，每天能讀日文約五小時 At least 5 hrs spare time per day to for preparation, 5 days before the JLPT N3 test. 忙碌課業的(大)學生 Student busying with their schoolworks and projects. 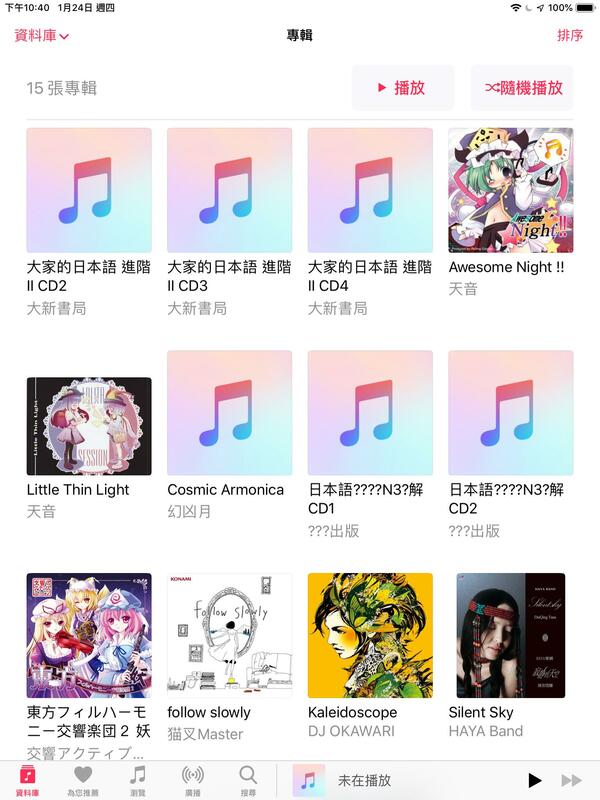 這種準備方式比較臨時抱佛腳，偏向求過，想要踏踏實實考高分的人請勿使用此方法 This method is cramming for JLPT N3, only with an eye to passing it, if you want to really learn something and perfectly comprehend the intermediate-level Japanese grammar, vocabulary...etc, DO NOT USE THIS METHOD!!! 徹徹底底的做題目，重點不在寫了多少，而是每一個寫過的都要弄懂，這樣寫過的東西可以確保是扎實的理解，不論聽力或是文法皆然 Go very thoroughly of all the problem, it is not the quantity, but the quality of chapters/problems studied that matters. This ensures and guarantees that what we studied will almost being comprehended. Both of the listening and grammar should be studied very carefully. 一定不要忘記敬語、謙讓語等等死記的用法，這每一次都會考 Honorific speech in Japanese, memorize as much as you can!! 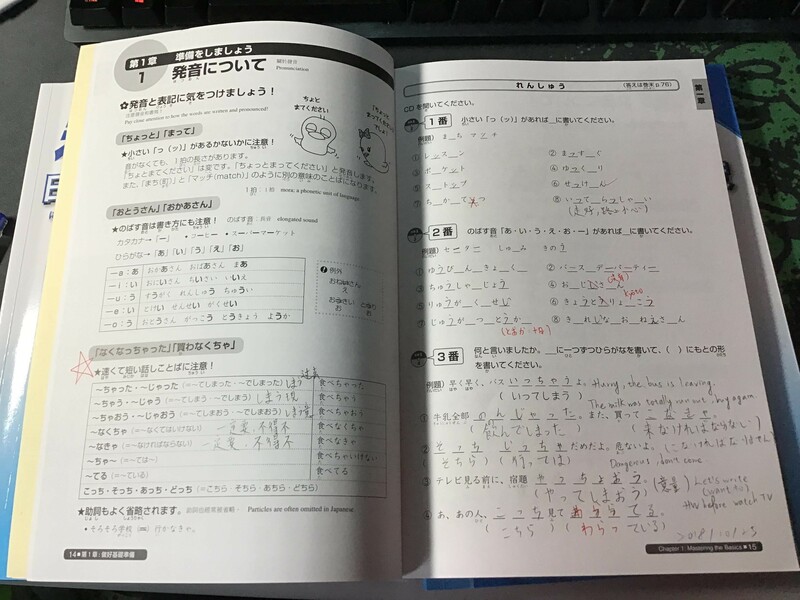 They show up every time in JLPT exam. 不要害怕在練習本上錯一堆題目，因為練習本會把相近的文法放在一起，本來就容易混淆，要有信心 Do not lose your confidence if you see lots of errors while practicing on the books shown above, that is because the press usually groups the similar topics together, making it hard to discern one grammar from the other. 考前一天做模擬考熟悉時程，但不要對分數有太大的期望，因為正式考試會偏難不少(尤其是聽力測驗) Do the simulation test one day before the test to familiarize yourself with the time course, but don't expect too much from the score, because the real exam will be more difficult(ESPECIALLY LISTENING TEST). 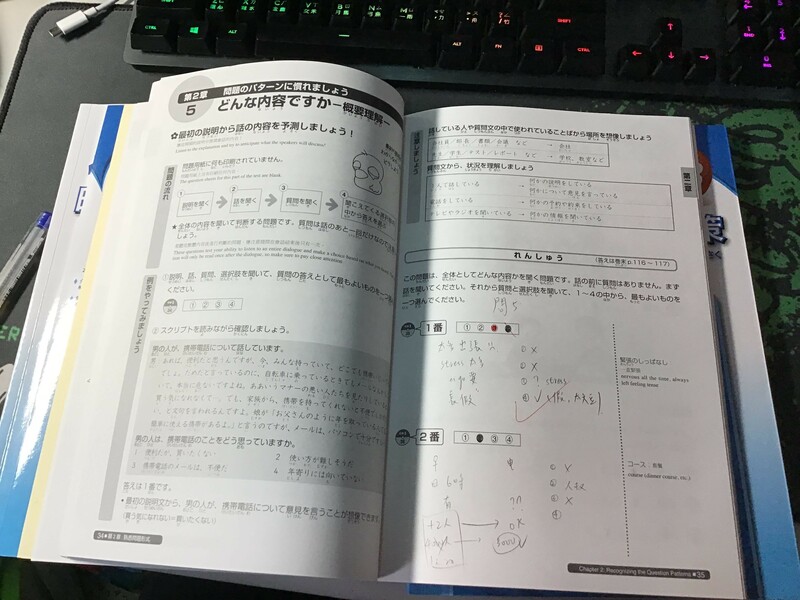 簡單來說就是將日文練習CD變成日常的背景音，當成音樂吧 In a nutshell, turn the Japanese-listening practice CD into your BGM, making this your music in the playlist. 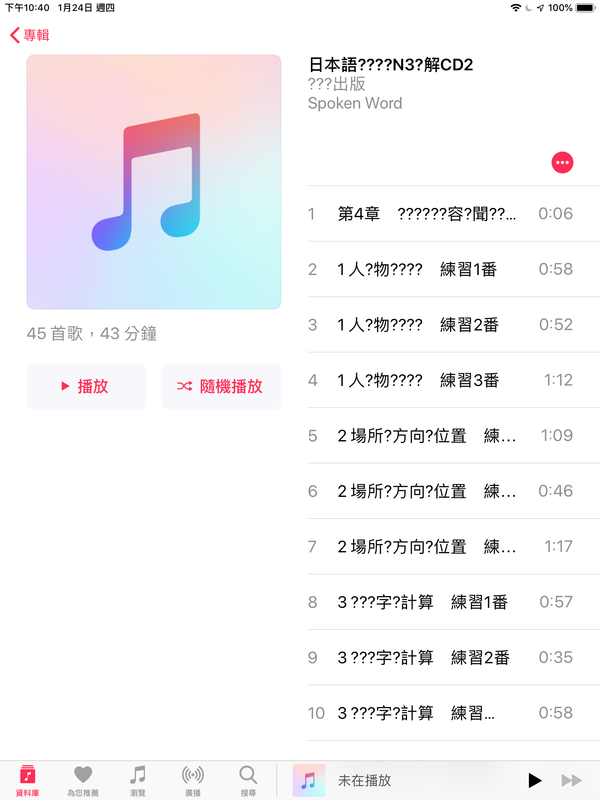 隨時隨地聽著，並且在不影響安全的情況下曲剖析每一個句子(例如不要在馬路上做這種事，但可以在洗澡或吃飯的時候聽) Listen all the time, and parsing each sentence without getting into dangerous situations such as walking on the road filled with cars and trucks. Suggested conditions will be parsing the sentences will taking the bath to save much of your time or while dining. 如果你是會寫程式碼的學生，相當推薦在一邊寫程式碼時一邊聽日文，效率其實不錯，而且還能利用CD隔絕外界的噪音 If you are a student who codes, it is strongly recommend coding and listening to N3 CD at the same time. Not only is such method boosts your programming efficiency but also the sounds will denoise the outer noise. 早點出門，早點到考場，保持輕鬆但謹慎的心情應考，不要得失心太重 Go out early, go to the examination room early, keep a relaxed but cautious mood, do not worry too much.